Insurance companies want to limit or deny benefits, especially in cases in which damages are significant. We know the tactics insurance companies use, and we know how to neutralize those tactics to fight for the compensation you deserve. Eric hails from Marathon City, just west of Wausau, WI. He attended college at the University of Wisconsin-Stevens Point and earned a B.A. degree in 1999. He graduated from the University of Montana School of Law, with honors, in 2003. 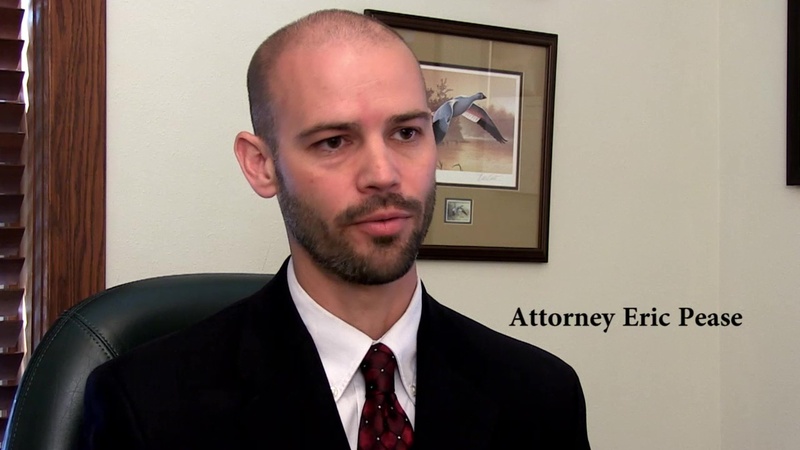 Eric is a member of both the Wisconsin and Montana State Bar associations. From 2003 to 2011, Eric practiced law at a Wausau firm, where he handled worker’s compensation and insurance defense litigation throughout the State of Wisconsin. Eric joined our team in October of 2011. He now represents injured people in worker’s compensation, personal injury, and Social Security disability cases. I know how insurance companies work—I used to represent them. Now, I represent only injured workers. I believe my background has made me a more effective advocate for injured people because I have a greater appreciation of the tactics insurance companies use to deny claims and reduce benefits. When you choose us to represent you, you are choosing attorneys who are intimately familiar with the insurance company’s playbook. We will use this knowledge to your benefit. Oftentimes, we are able to gather the evidence necessary to convince the insurance company to offer a fair settlement of your claim without the necessity of a hearing. However, if the insurance company is unwilling to offer a reasonable settlement, we will take your case to an administrative law judge to fight for the full compensation you deserve. Eric is licensed to practice in all state and federal courts in Wisconsin, the Seventh Circuit Court of Appeals, and the state courts of Montana. Eric is a member of the Marathon County Bar Association, the Wisconsin Bar Association, and the Wisconsin Association of the Worker’s Compensation Attorneys. Eric has taught legal research, litigation, and tort law at a local community college. Eric and his wife, Dana, have four children. They are active in their church and spend much of their free time at their kids' various school and sporting activities. Eric is an avid outdoorsman and enjoys fishing, hunting, and skiing.